"All About Automatic Sprinkler Systems"
Want to know more about how automatic sprinkler systems work? Tired of dealing with hoses and watering by hand ? We will install and explain how an irrigation(sprinkler) system works, the different types of sprinklers and components used in a system, and some key terms and concepts like water pressure, flow rate and valve zones. What is the most efficient way to water your landscaping beds, vegetable garden and container plants? For non-grass areas like these, drip irrigation is an ideal watering solution that will provide great results while saving you water. we will install and explain how a drip irrigation system works, the different types of components used in a drip system, and how to select the right spot watering devices. An automatic sprinkler system is a home improvement project worth considering. Not only will it help maintain a healthy beautiful landscape which you can enjoy with your friends and family, but it’s the most convenient and efficient way to ensure your landscape gets the water it needs without over or under-watering. When it is properly installed and maintained an automatic sprinkler system will help conserve water too. So put away your garden hose and let sprinkler system do your watering for you -- automatically! You'll have greener grass, healthier plants, and much more free time to smell the roses instead of watering them. 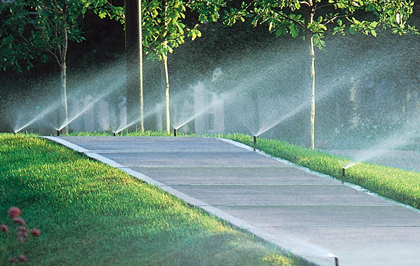 Why purchase automatic sprinkler system? REST EASY: The LML Irrigation name is your assurance of quality, value, and performance.